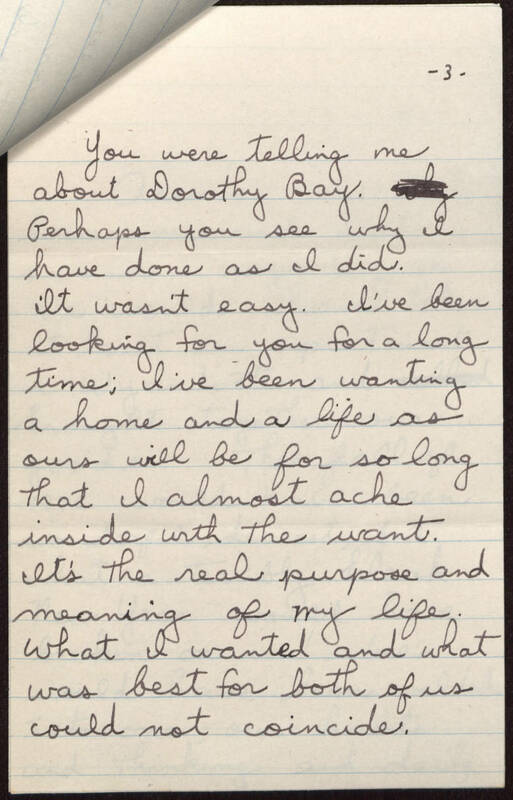 -3- You were telling me about Dorothy Bay. Perhaps you see why I have done as I did. It wasn't easy. I've been looking for you for a long time; I've been wanting a home and a life as ours will be for so long that I almost ache inside with the want. It's the real purpose and meaning of my life. What I wanted and what was best for both of us could not coincide.